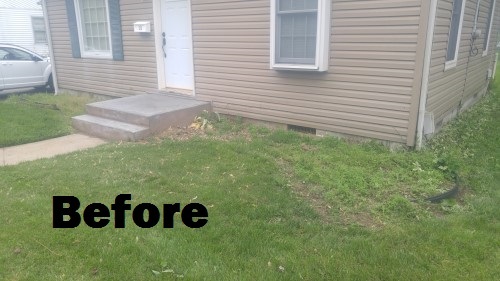 For the past six years, Simply Green Lawn Care Services has provided exceptional services to homeowners and business men alike in both the Madison and St. Clair counties. 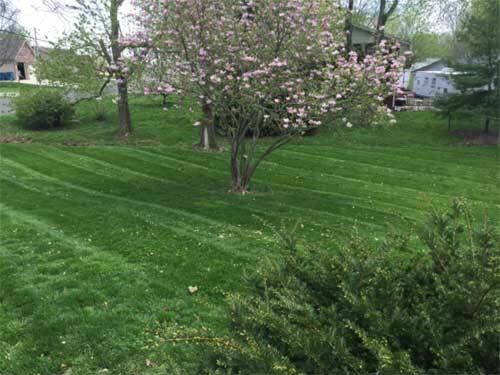 Based out of Collinsville, IL, Simply Green focuses on improving and maintaining properties, as well as a variety of other lawn care needs. 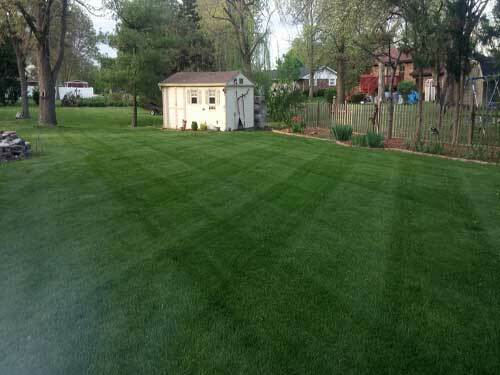 As a business owner, I research the industry and add new services aimed to achieving the lawn of your dreams. 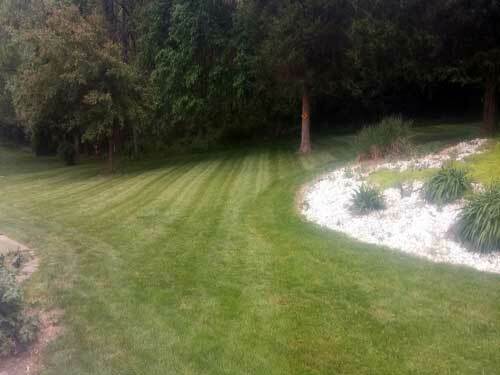 Simply Green strives to provide superior lawn care service at economically friendly prices. 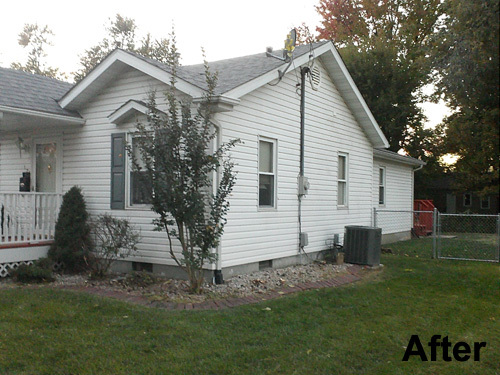 We strive to inspire, educate, and problem-solve for all of our client needs, without tacking on unnecessary services. 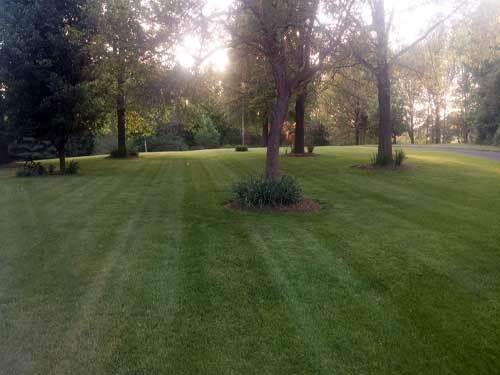 Completing anything from just a simple lawn cut to a large landscaping project, gives me a great sense of accomplishment which drives me to expand my business. This area east of St. Louis is filled with great customers who make working for our community a joy. Thank you for supporting a local company! I look forward to working with the people of Collinsville and it’s surrounding areas for many more years to come. 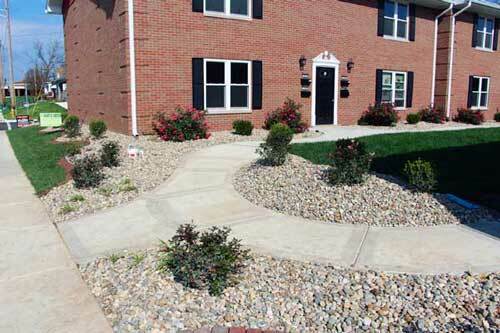 Simply Green's lawn mowing service includes not only a cutting of your yard, but edging and trimming of your sidewalks, driveways, and flower beds. 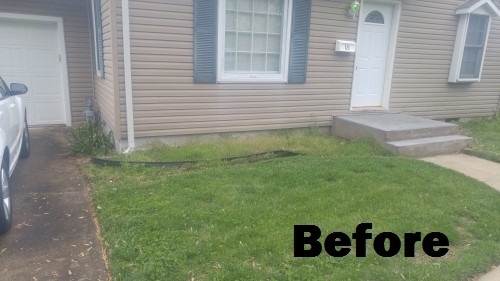 Then after we're done throwing grass all over your property, we clean off unwanted grass clippings on walkways and drives. 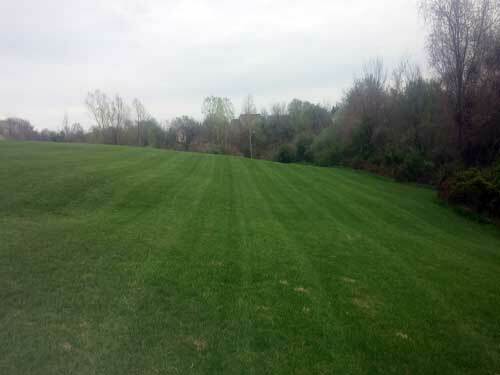 Weekly mows are strongly encouraged for a number of reasons. For one is it makes scheduling far easier on both you and I. 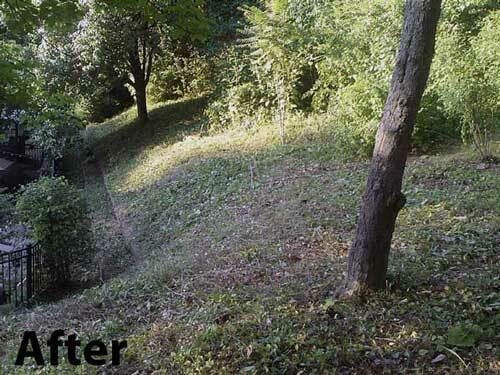 Cutting it weekly also doesn't allow the grass to grow in leaps and bounds. When left to grow for two weeks at a time it causes thatch piles, multiple cuts per visit, and less of the distinct clean striped look. 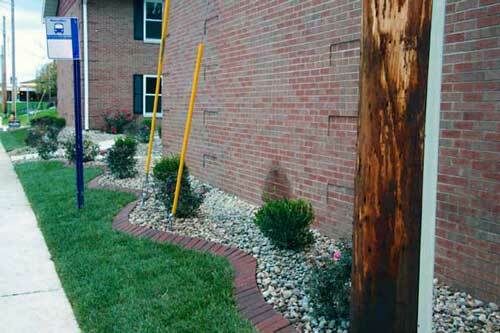 All of these hassels cause an unwanted overall look and usually leads to be more expensive in the long run. 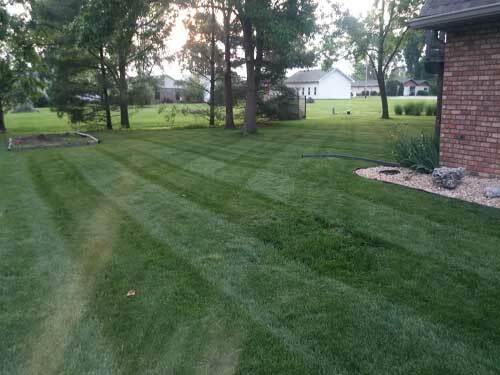 After the eyes are drawn to your nicely striped lawn, they survey the rest of your property and what's the next focal point they're drawn to? 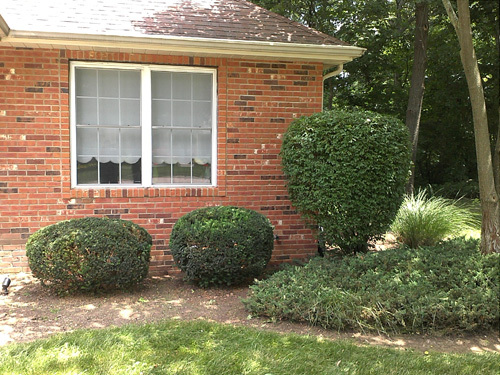 If you thought shrubs, then you're right! 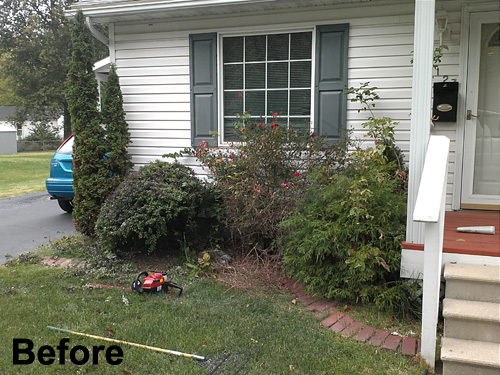 Having manicured bushes and shrubs on your property is a must. 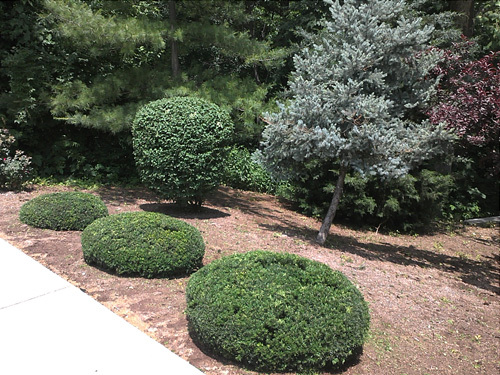 If you're going to have beautiful light and dark green stripes crisscrossing your yard, it would be wise to also have shaped and kept shrubs accenting your lawn in the best way. 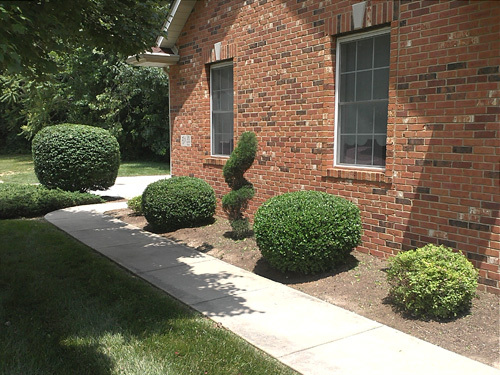 Our service includes cutting and shaping of the shrub and a clean up of the trimmings. 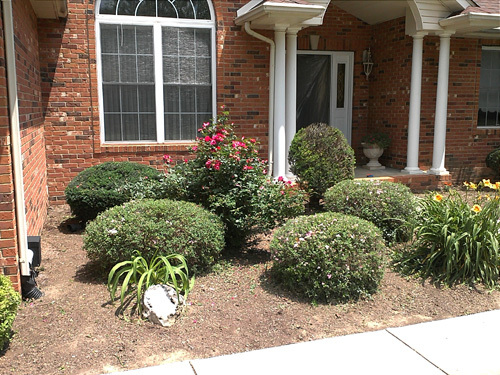 Maintaining flower beds can be one of the most tedious projects on your property. 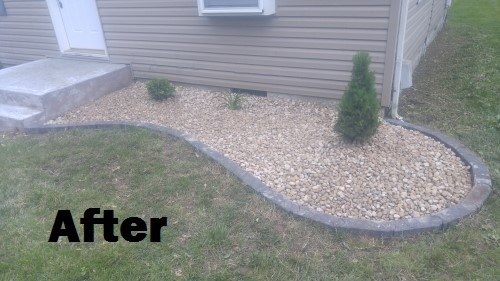 Even though you have matting over time dirt builds up on the landscaping fabric or plastic laid under your rock or mulch. Once seeds are airborne they're able to drift in the wind and sometimes they settle in your flower beds. 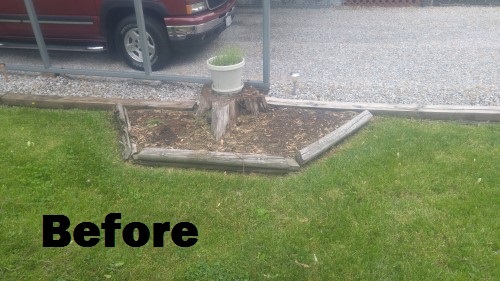 This then leads to stringy weeds popping up throughtout your kept bed. Depending upon the severity of the problem leads to different solutions. 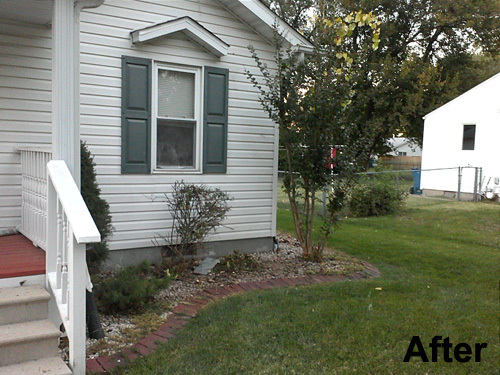 Simply Green can preform services from hand weeding and raking, to a strong weed killer. Spraying can only be done on days it is not windy. 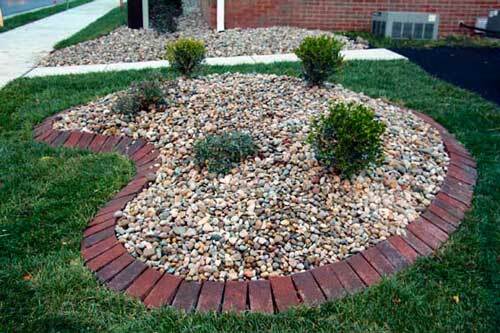 If you realized after reading this you do not have a plastic or fabric liner under your rock or mulch, you need to update your flower bed. But no worries! 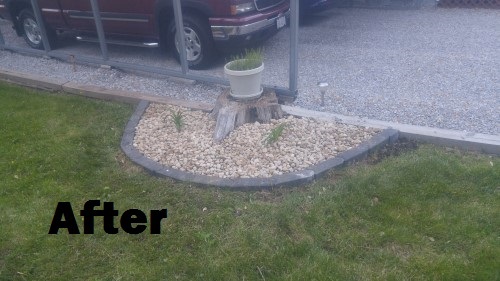 Simply Green can also create or reconstruct your flower bed from the bottom up. 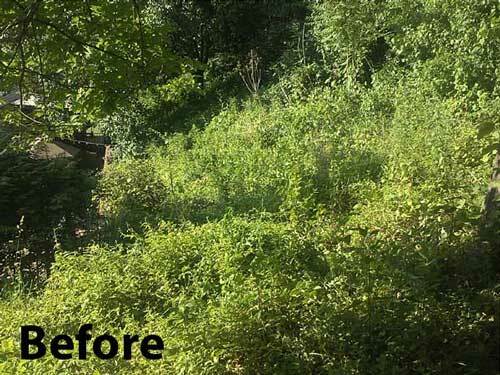 Sometimes before you can begin a project you need to control unwanted growth in an area you want to beautify. 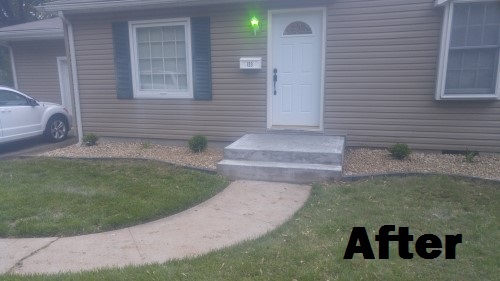 When that is the dilema you're faced with, have no fear..you can turn to Simply Green once again. 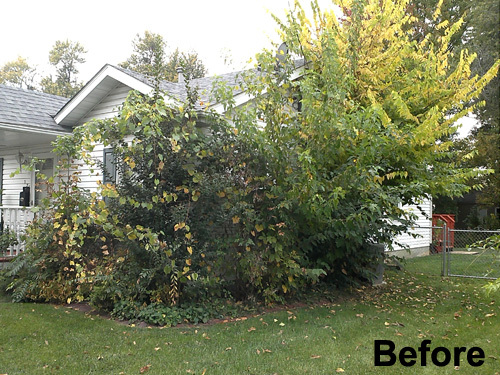 Vines, weeds, thorn bushes, small trees, and any brush you can think of, I can remove it. After I'm done slashing and hacking away the enemy, I as always, clean up my work space. 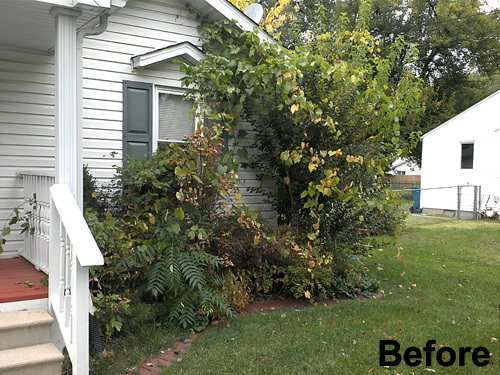 If you don't have an area on your property to dump the cuttings they can be hauled away for a fee based upon load size. 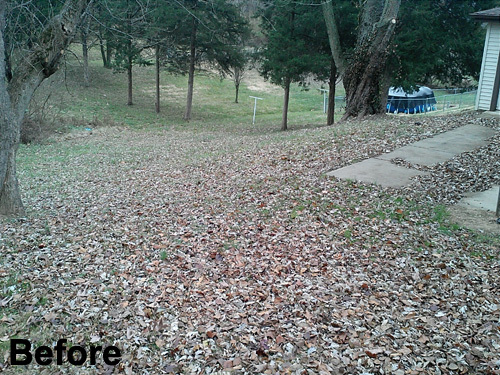 During both the spring and fall there are a number of things you can do to prepare your yard for the upcoming season. 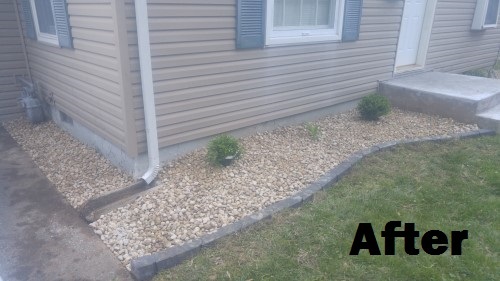 When spring time arrives it is best to get rid of dead growth such as pampas grass, old flower stalks, and branches injured from winter. 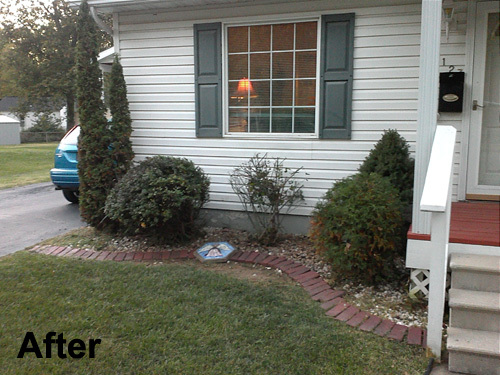 It is also a good time to take care of any leaves left over from fall, and those pesky gumballs! However, if you take care of your leaves and pruning in the fall you'll have much less to worry about when spring rolls around. 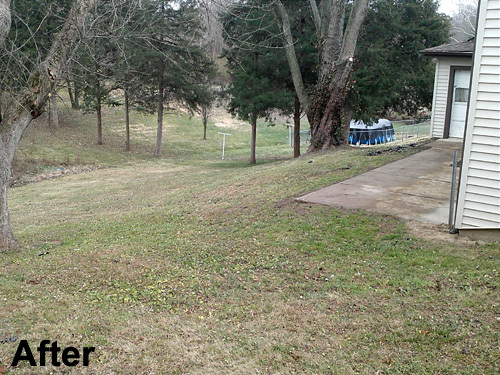 During the winter months Simply Green can also assist you if a snow storm happens to pass through. 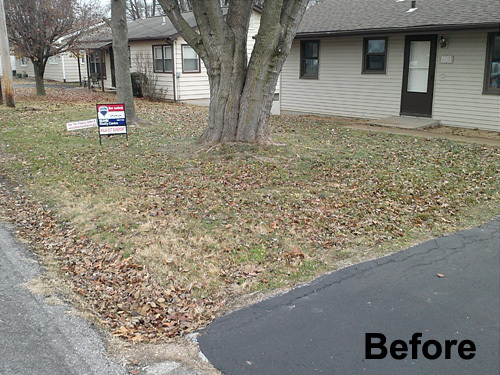 Although we don't normally get much snow, Simply Green can come out and clear residential driveways and walks. 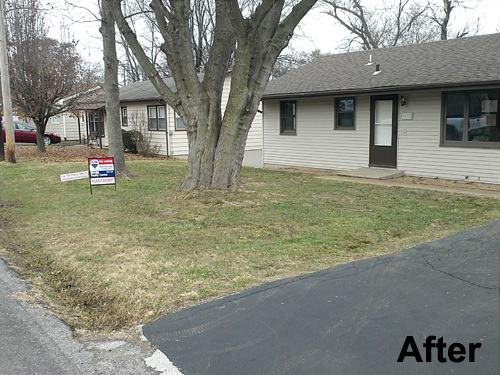 There is no plow used or salt used to ensure nothing will get damaged during the process. Since a walkbehind snow blower is used, we can only clear paved drives and walk. 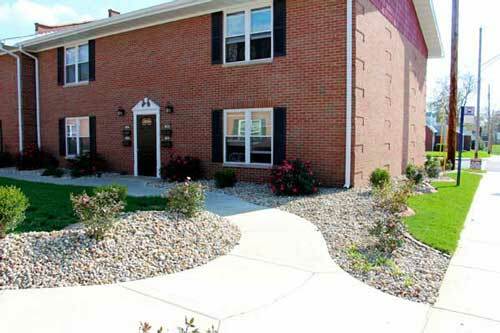 No rock driveways. Snow removal is on a first call first serve schedule. An e-mail is now the easiest and fastest way to spread mass information throughout all my customers. If you are able to and would like to add your e-mail to my list just send me an e-mail with your name. This contact information will stay with me and is used only for sending out information or for you to contact me. I will not be giving out these e-mail addresses to anyone else. 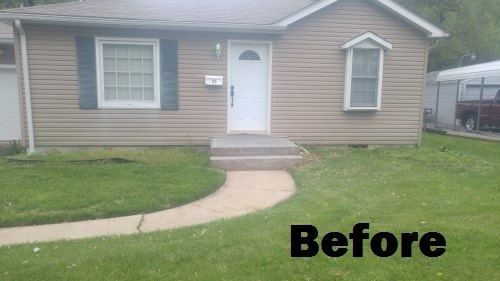 And remember I always give free estimates so don't be afraid to ask about any project you want to complete!